Over the past 50 years, academic-industrial collaborations and technology transfer have played an increasingly prominent role in the biomedical sciences. These relationships can speed the delivery of innovative drugs and medical technologies to clinical practice, creating important public health benefits as well as income for universities and their faculty. At the same time, they raise ethical concerns, particularly when research involves human subjects in clinical trials. Lapses in oversight of industry sponsored clinical trials at universities, and especially patient deaths in a number of trials, have brought these issues into the public spotlight and have led the federal government to intensify its oversight of clinical research. The leadership of Harvard Medical School convened a group of leaders in academic medicine to formulate guidelines on individual financial conflicts of interest. They and other groups are working to formulate a national consensus on this issue. 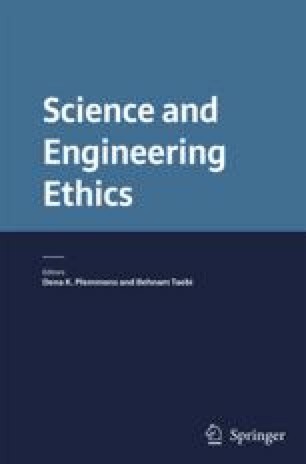 An earlier version of this paper was presented at an International Conference on “Conflict of Interest and its Significance in Science and Medicine” held in Warsaw, Poland on 5–6 April, 2002.